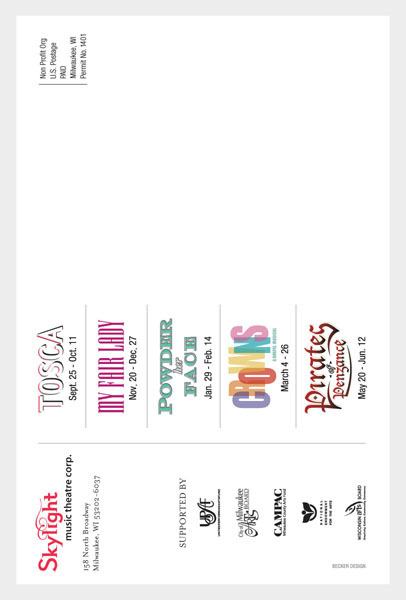 We are always happy to support our local arts community. 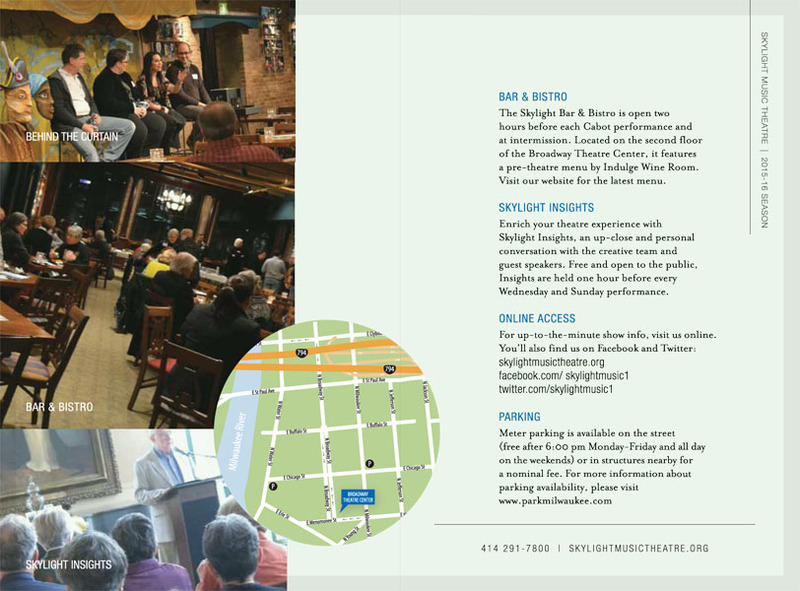 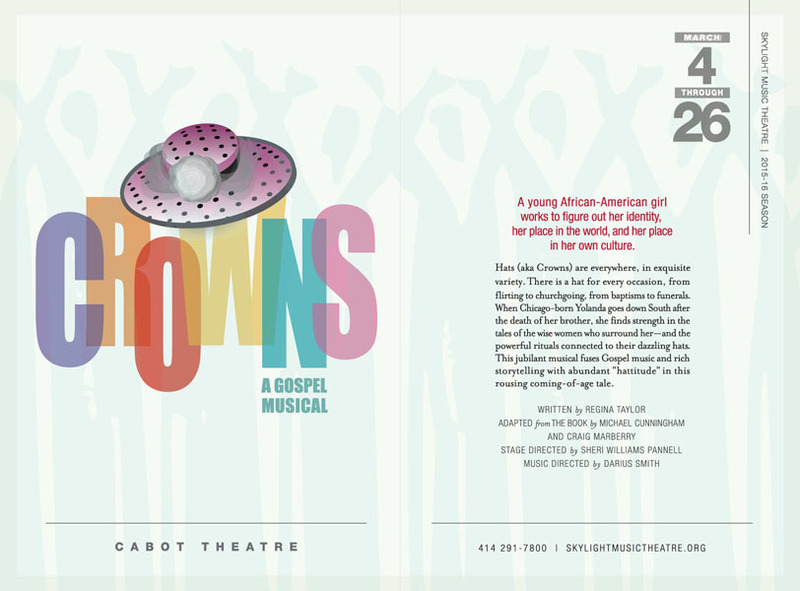 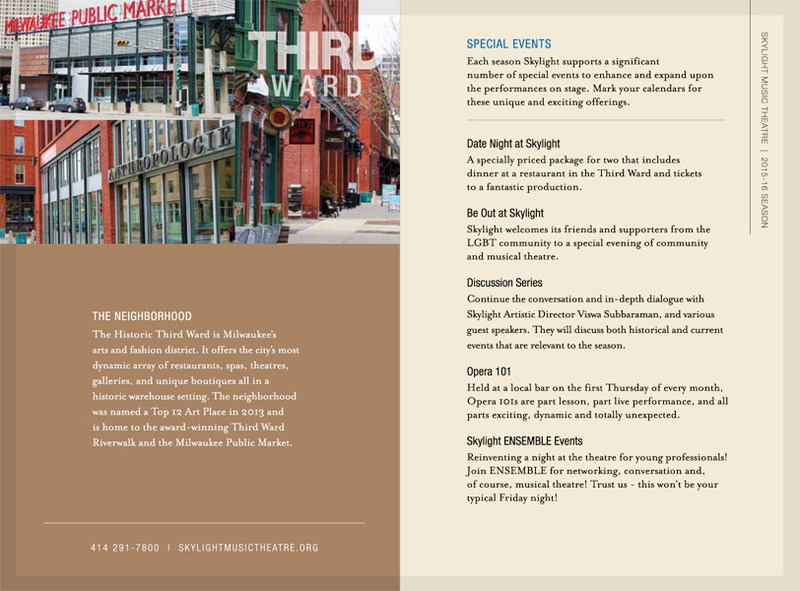 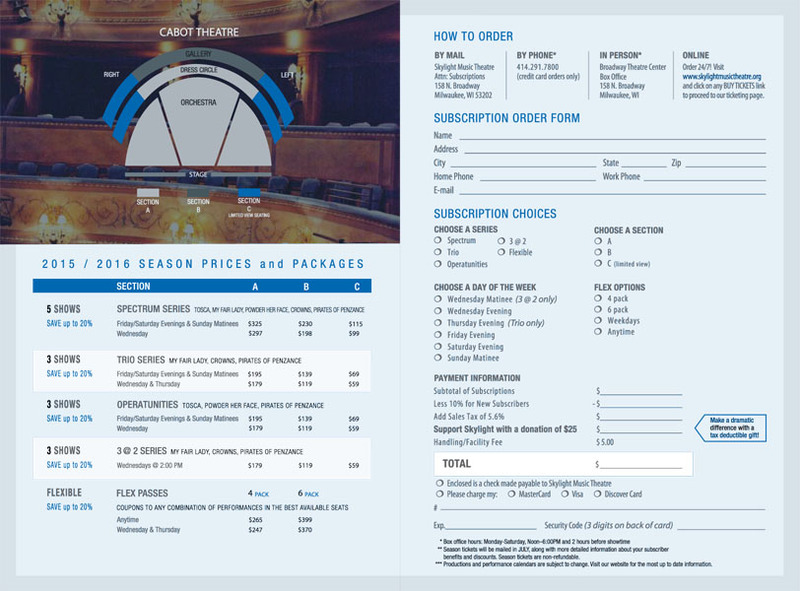 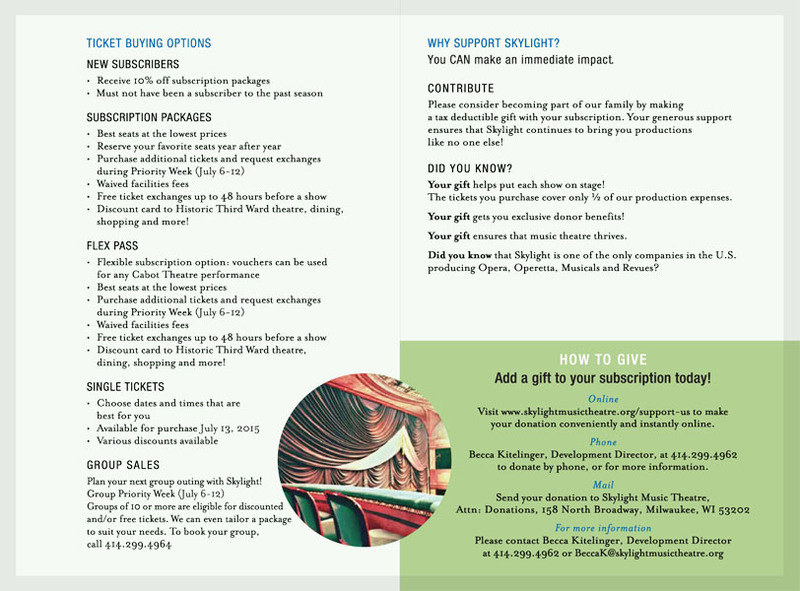 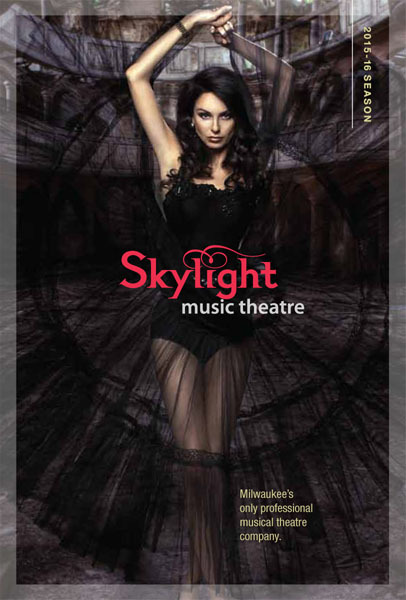 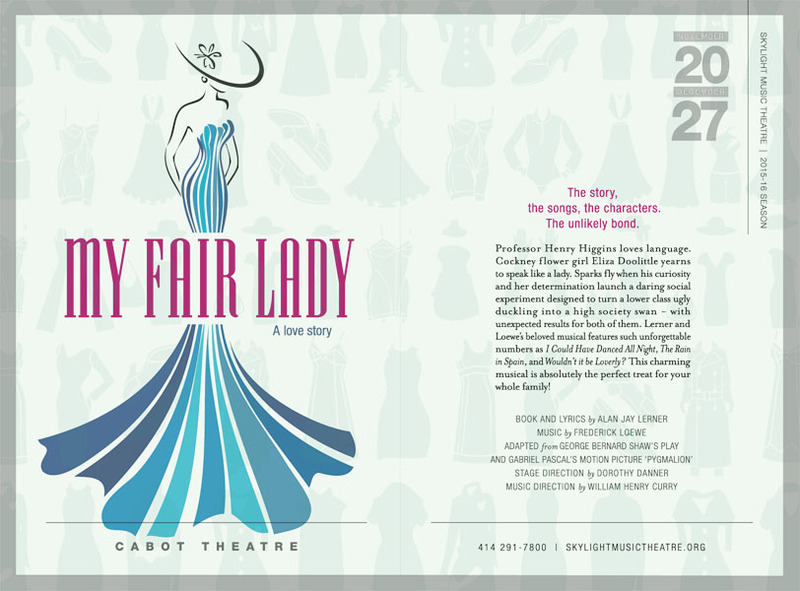 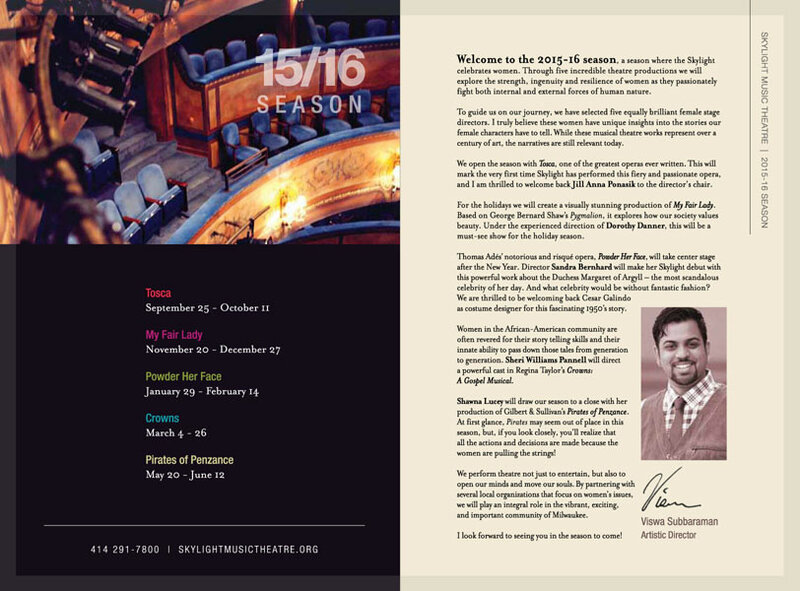 When Milwaukee’s premiere professional musical theatre company, Skylight Music Theatre, approached us to design their season’s creative for 2015-2016, we were all in. 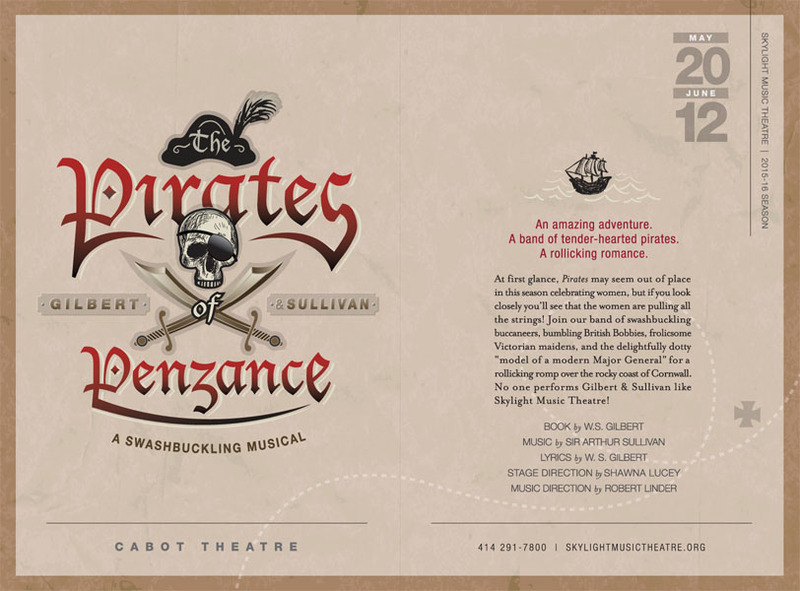 Each of the five musical productions needed a unique look. 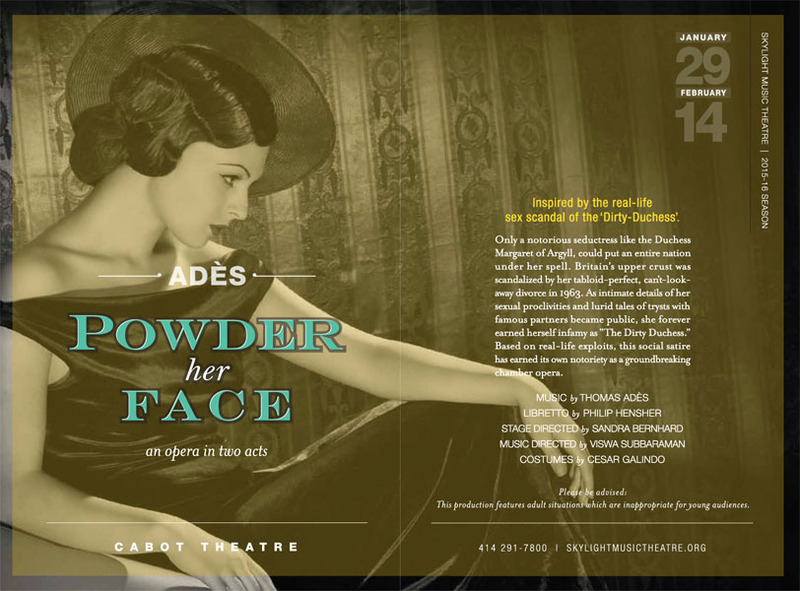 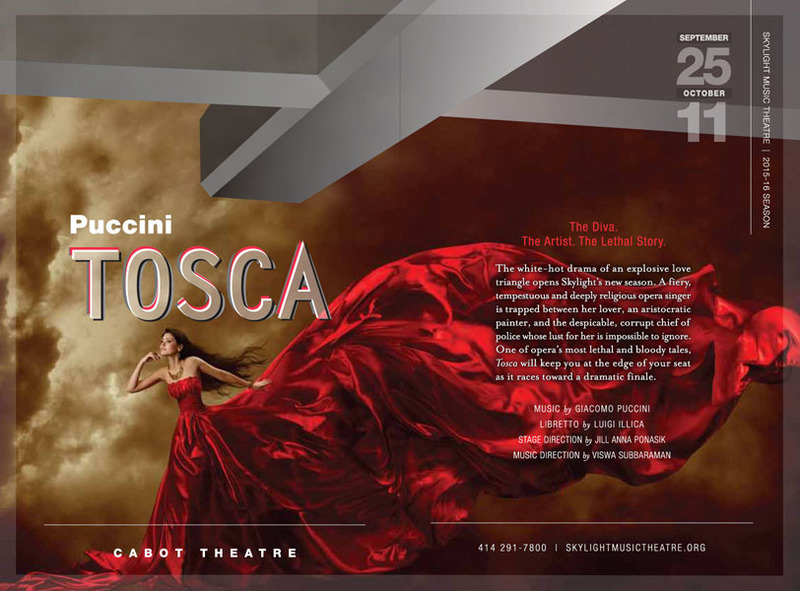 The program features Tosca, My Fair Lady, Powder Her Face, Crowns and Pirates of Penzance. 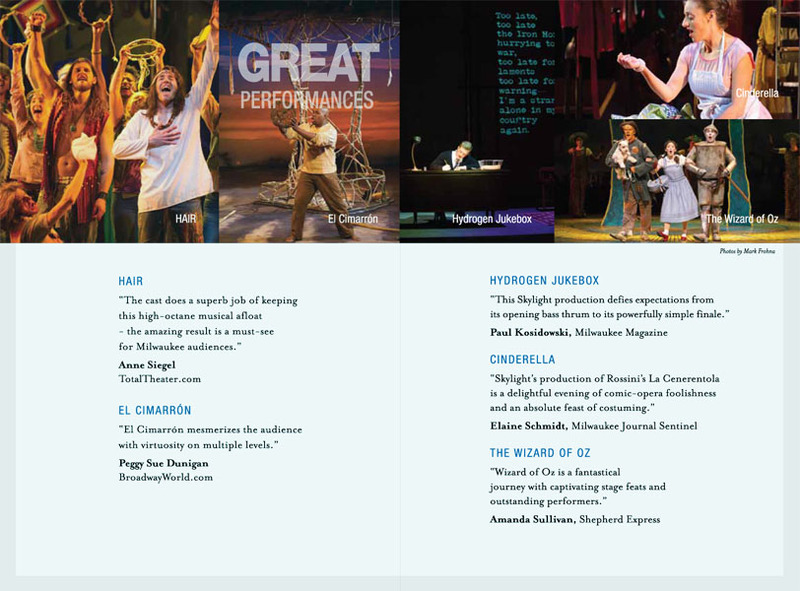 We enjoyed putting our own spin on some classics, as well as new productions.